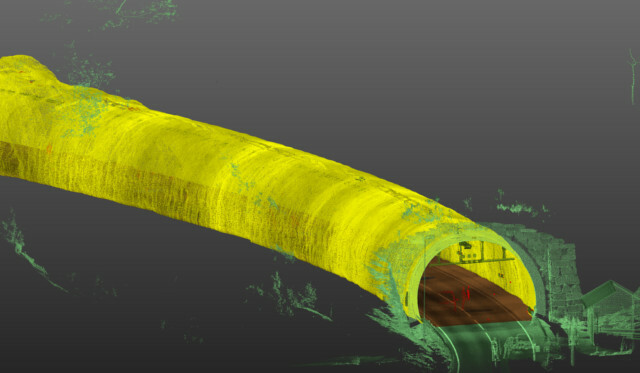 The 3D laser scanning is an advanced measurement technology, which allows us to transfer the scanned object to three-dimensional space on our computer. After completing the the measurements we get a huge collections of points known as the point clouds. The laser scanner can obtain nearly a million points per second, and each of these points has its own set of spatial coordinates (X,Y,Z), intensity value (I) and thanks to a integrated digital camera also (RGB) color. The vast speed of data acquisition combined with very high 2 milimeter accuracy and completeness of measured data are the greatest advantages of laser skaning technology. Nowadays laser scanning technology is becoming more and more popular, thanks to its advantages it is widely used in various fields of industry, architecture and historic buildings preservation projects. A registred point cloud is a product on its own because it provides a very detailed geometric data for every part of even the most complicated object. With a point cloud from a laser scanner we can also get a lot of derivative products. Some of them are listed below. 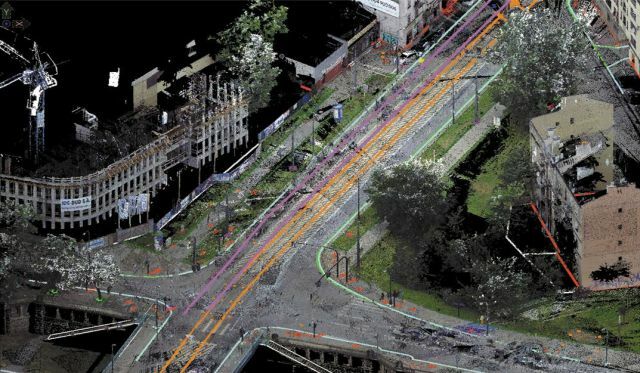 A Point Cloud can be used as a base for creating traditional 2D or 3D survey maps or drawings in vector format. The drawings are very precise thanks to the high accuracy and the detail geometrical information of the acquired point cloud. This provides a faithful representation of the reality, even on 2D drawings. 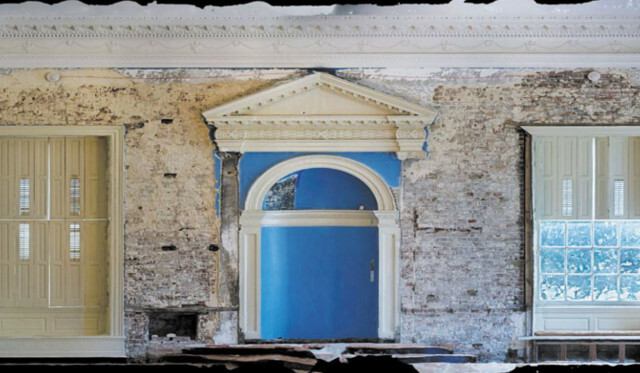 Very often, the current state of historical objects is documented with the help of digital cameras. However, a single image due to the perspective and lens imperfections cause some distortion and because of that we can not determine the exact dimensions of the object. Equipped with the appropriate hardware and software, we are able to create for you a very high resolution image in orthogonal projection from a large number of single photos, this allows to faithfully reproduce the actual colors and shape of the photographed part of the building. Orthophotoplans are metric, so that you can perform on them all the necessary measurements. They perfectly complement the documentation made based on the laser scanning data. The laser scanning data allows for a very precise deformation analysis of the measured object. The fact that all point clouds from every scanner position are combined into a coherent whole allows us to perform deformation analysis of all the walls or floors, verticality of construction columns or industrial chimneys and also the deflection of structural beams running through the whole building. 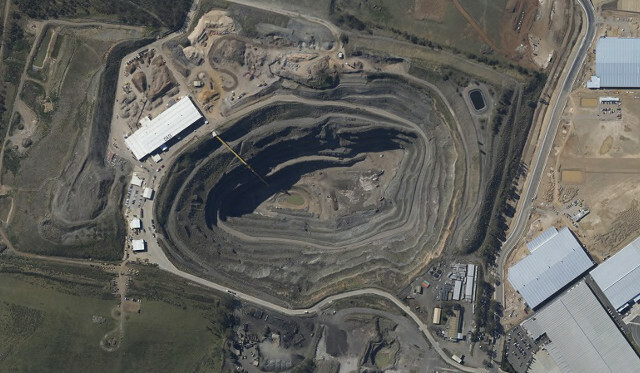 The biggest advantage is the ability to cut out any object for which we want to perform the analysis. Because the object is fully covered with measured points we can analyze it as a whole, without dividing it into parts when it is not visible entirety from one station. That give us consistent, accurate and unambiguous results. Additionally, transforming the measured object to any absolute coordinate system and performing measurements at specific time intervals, we can track the deformation over time, determine the degree of subsidence and its influence on the building also predict further changes or plan how to stop them. 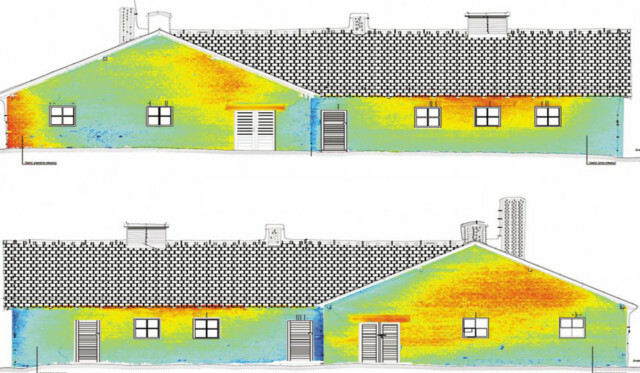 Point clouds despite many advantages also have some drawbacks. The clouds are very large so for processing you need a powerful computer with lots of free space for the scan data. In addition, not all CAD programs support the operations on point clouds. The solution to this problems is the option to create precise 3D models based on the point cloud, such models could be delivered in any CAD format. The 3D models take up much less space than the data from the scanner and you do not need such a powerful computer to work on them. Laser scanning is the only technology that allows to obtain the necessary data to create a particularly complex 3D models. By using an integrated scanner camera we can assign the actual colors to each even the smallest element of the model. Models can be used for planning renovations and designing new installations also for detecting potential collisions with existing infrastructure. Very often it is necessary to divide the cloud points into separate categories corresponding to specific objects, this process is called the classification and it is similar to creating layers for CAD drawing. To carry out the classification we use automated software algorithms and manual classification for more complex components. In most cases the classification is performed to separate the ground from buildings and all the vegetation in order to create a digital terrain model, or in cases where we have to distinguish and divide all elements of the infrastructure in to groups. Thanks to the classification it is significantly easier to work with point clouds, because we can view and work only on objects that we are currently interested in. For example, by using only ground and tunnel walls classes it is possible to quickly create a three-dimensional model of the tunnel without having to clean all the points inside. Modele terenu są dokładnym przedstawieniem rzeczywistego kształtu powierzchni terenu najczęściej w postaci siatki trójkątów. Modele mogą być wykonane w oparciu o punkty tylko na ziemi lub uwzględniać to co jest na jej powierzchni. Stworzone numeryczne modele terenu można wykorzystać również do obliczania objętości mas ziemnych. Dokładność obliczeń jest bardzo wysoka, ponieważ w odróżnieniu od klasycznych metod pomiarowych do obliczeń wykorzystuje się tysiące punktów równomiernie rozłożonych na całym obiekcie. W zależności od potrzeb i warunków, do stworzenia modelu wykorzystujemy klasyczne pomiary geodezyjne, skaning laserowy lub fotogrametrię lotniczą. Over the past few years the BIM technology is becoming increasingly popular in the European construction industry especially in the UK. The BIM model consist of individual elements like windows, doors, walls, pipes, beams and columns, etc. All these elements have attributes that we can easly change and every change have a immediately effect for the entire model. This allows for easy management of the project, create plans and sections in any place we want and helps to create a work schedule for the construction or reconstruction works. 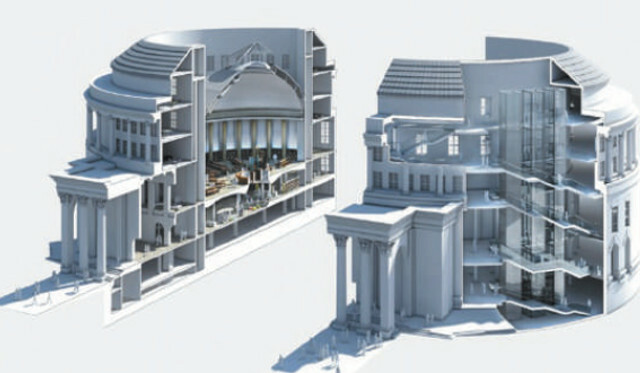 By combining laser scanning technology and modeling in BIM environment we can create highly accurate 3D models that faithfully reproduce the current condition of the building, and thanks to the included attributes we can describe the status of any item and assign a material from which it was made.